This film is like a comfortable pair of slippers… or a delicious cup of hot cocoa… if slippers and cocoa were hilarious and had a bunch of books written about them. When your pontiff was just a wee little Popeling, Chicago’s WGN showed Duck Soup every New Year’s Eve. One of my earliest and most vivid memories involves visiting my grandfather’s place on that holiday; his two-flat was full of boring adult talk, but my beloved Uncle Tony took pity and allowed me to watch television upstairs in his apartment. That was the first time I saw Duck Soup. It was like nothing else I had ever seen and boy, did it make me laugh! 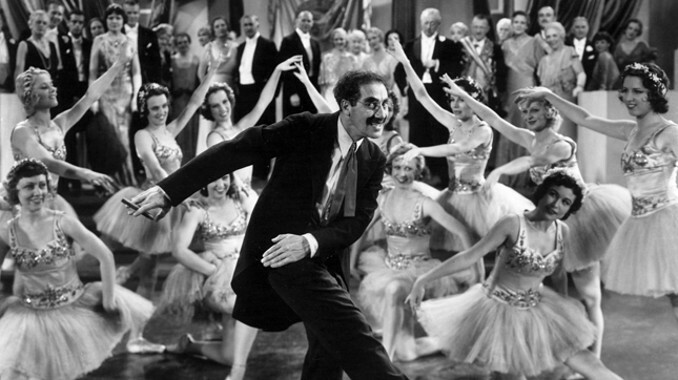 I have noticed that Turner Classic Movies often shows Duck Soup on New Year’s Eve. Is this a nationwide tradition that I was not aware of as a child, or did the TCM programmers also grow up in Chicago and are now trying to relive the past? For more than 30 years, the original theatrical poster for Duck Soup has hung in my classroom. Maybe I too am trying to relive the past. The Plot In Brief: Rufus T. Firefly (Groucho Marx) is installed as the new president of Freedonia, but only because rich Mrs. Teasdale (Margaret Dumont) demands this in return for loaning the country more money. Trentino (Louis Calhern), ambassador from the neighboring country of Sylvania, is interested in starting a war with Freedonia. Trentino hires two spies, Chicolini (Chico Marx) and Pinky (Harpo Marx), to gather incriminating evidence against Firefly and discredit him with the Freedonian people. Will Firefly be a successful president? Will Mrs. Teasdale be a successful love interest? Will Chicolini and Pinky be successful spies? Will all hell break loose? 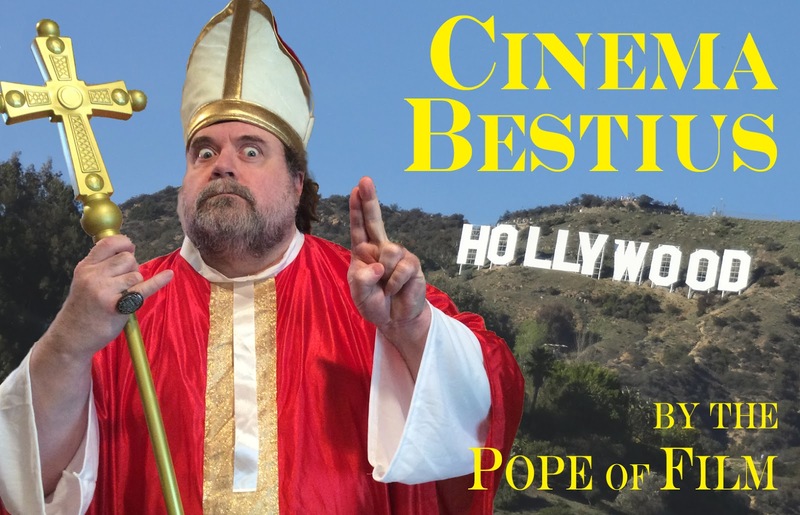 The Pope has read many books about the Marx Brothers. (The best ones are The Marx Brothers Scrapbook by Richard J. Anobile; Monkey Business/Duck Soup in Lorrimer’s Classic Film Scripts series; and Groucho, Harpo, Chico, and Sometimes Zeppo by Joe Adamson.) The Pope certainly hopes (#PopeHope) that the recent publication of three MORE books on the Marx Brothers proves they will not be consigned to the trashcan of history any time soon. Hail, Hail Euphoria! by Roy Blount, Jr. is a robust appreciation of Duck Soup as a war film—a delightful, tiny book and a fast read. Two much more scholarly tomes are Four of the Three Musketeers: The Marx Brothers on Stage by Robert Bader, which chronicles their early stage careers using awe-inspiring amounts of new research; and Gimme A Thrill: The Story of ‘I’ll Say She Is’ by Noah Diamond, which chronicles the Marx Brothers’ “lost” musical, their only Broadway success never adapted into film. Christmas reading by the fire, pilgrims—your Pope is a loving Pope and knows that your lives will be improved only to the extent that you seek out these books. In spite of this veritable library, I cannot remember any Marx Brothers book discussing Duck Soup as a musical. Its three musical numbers (“Hail Freedonia,” “Just Wait ‘Til I Get Through With It,” and “Freedonia’s Going to War”) are so delightful and funny that one wishes Bert Kalmar and Harry Ruby had made this a full-blown musical, like the Marxes’ earlier stage successes. 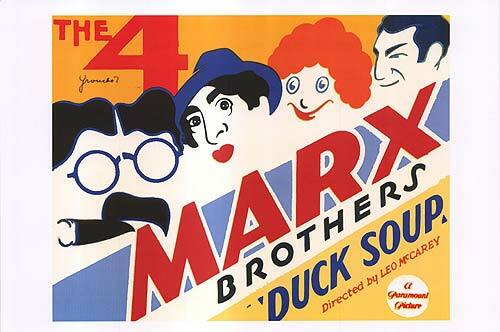 Ironically, Duck Soup is also the only Marx Brothers film where Chico does not have an extended piano solo, nor does Harpo play his namesake instrument. We stand him up against the wall and… Pop goes the weasel! 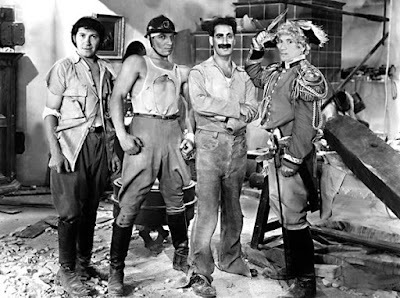 Duck Soup’s Three Miracles: The enduring, anarchic spirit of the Marx Brothers, still fresh and zippy decades later; the crazy script by Bert Kalmar, Harry Ruby, Arthur Sheekman, and Nat Perrin (who later produced and wrote for The Addams Family television series); and sharp direction that never steps on the jokes by future Oscar winner Leo McCarey. Groucho used to lament that McCarey was the ONLY first-rate director who ever directed a Marx Brothers’ picture. In Nomine Groucho, y Chico, et Spiritu Harpo, Amen. I've always thought of Margaret Dumont as practically being a Marx Brother. 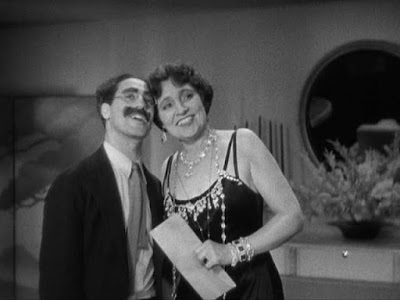 I think she's nearly as essential as Groucho is to the humor in the scenes that they share. From all accounts that I've heard she always thought herself a serious actress, and actually hated the Marx Brothers for what she saw as trivializing her. If I had to guess I would say that was what made her so good for her part in their films. 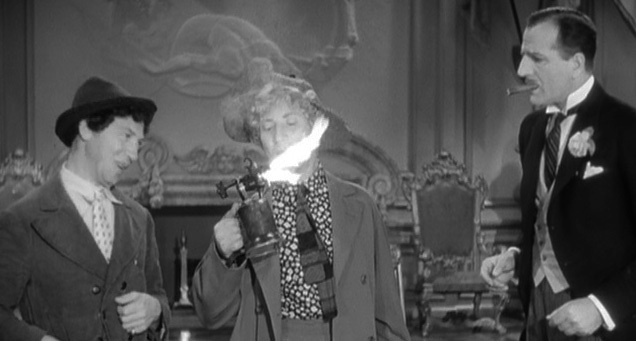 I consider Margaret Dumont to practically be a Marx Brother. I think she's nearly as essential to her scenes with Groucho as he is. Apparently she had little to no sense of humor and actually hated the Marx Bros for killing her serious acting career. Groucho always said that she didn't understand any of the jokes, so she was the best "straight man" the team ever had. "We're fighting for this woman's honor, which is probably more than she ever did!" You cannot say enough good things about Duck Soup. It holds up after 80 years. It's hilarious and sadly timely. Now mainstream comedies are junk like Sausage Party. RIP the comedy genre.